We’ve got another round-up coming your way, and it’s all about what keeps us sane in the kitchen. If you’re practicing any sort of whole foods diet, trying to save money, but also eat healthy, doing our gentle detox Prescribe 20 or simply love cooking…then you are spending a significant amount of time in the kitchen. Which, hey that’s fine, we crank the music or listen to our podcasts and thoroughly enjoy getting our hands dirty. 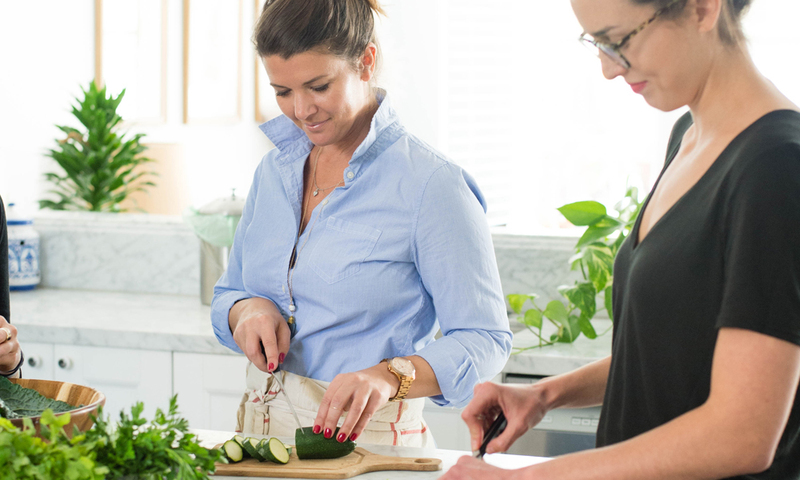 That said, there are a handful of kitchen tools that our Prescribe Nutrition team uses every.single.day that legitimately make eating healthy easier. If you’re getting crafty in the kitchen, signing up for Prescribe 20 or are an aspiring cook, then these are the kitchen tools for you. I use this puppy every day, twice a day, sometimes three times a day. Can you tell I spend a lot of dough on lemons? Listen – if I’m going to talk your ear off about the value of drinking lemon water every day, then I better follow through, and I promise you I would NOT do it if I didn’t have this tool. Also I love using it for cooking, specifically for salad dressings. Because seeds are annoying. *Pro-tip: don’t get the colored enamel ones, the paint eventually chips off. Go for stainless steel if possible. Listen these are an investment, but never once has anyone on our team or anyone we know regretted buying one. If you like smoothies, nut butter, soups, hummus, or salad dressings, you will never, ever wish you hadn’t taken the plunge. More details on our blender breakdown here. And if you have a regular ol’ blender, that’s cool too! They are super helpful for smoothies, dressings, etc. This doesn’t mean you have to go out and spend a grand on a knife set (though if you can, I’m jealous). But you should have one or two knives in your repertoire that are SHARP. If you’re prepping meals every night that are heavy on veggies, you better believe it will get old VERY quickly with a dull knife. There are a million brands of fancy ones, but there’s also some really awesome affordable ones, like Victorinox.